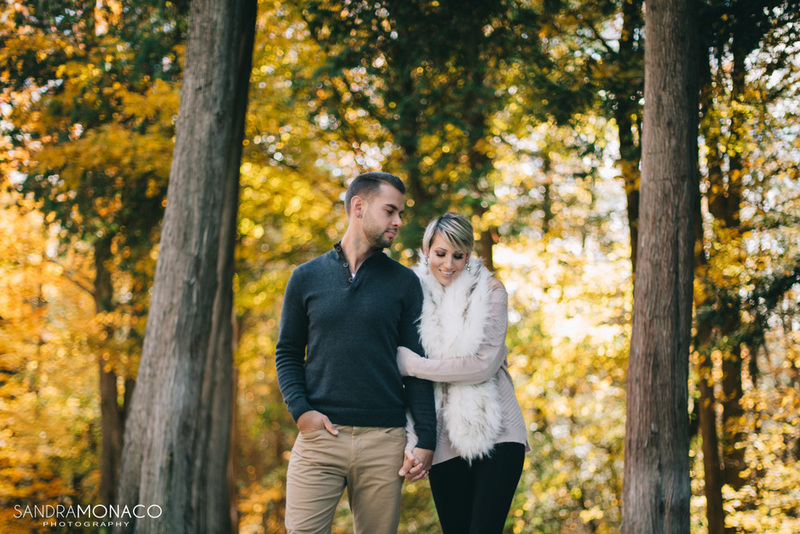 I’m not sure whether it’s gold in the trees or maybe the couple wrapped up in a blanket, but there’s something about fall engagement shoots that radiate a warm feeling. 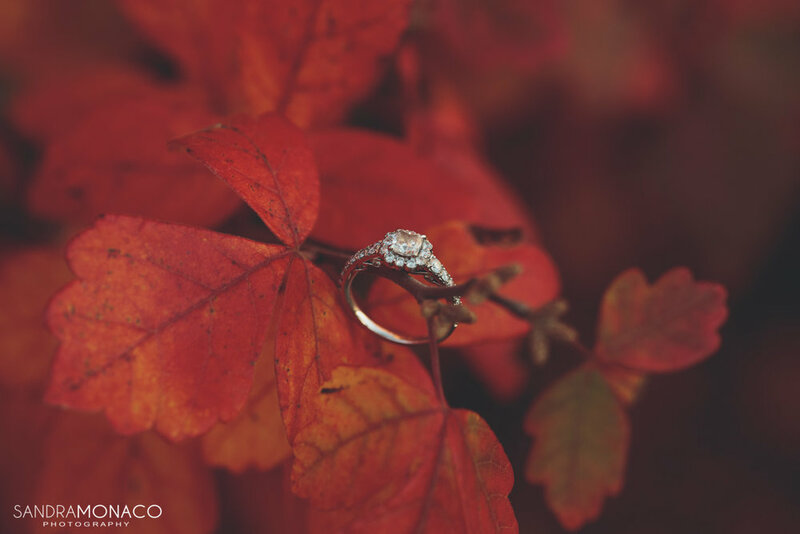 When the colours and the light and the love all come together in the most perfect way, it’s hard not to be excited about what I was able to capture for the couple. 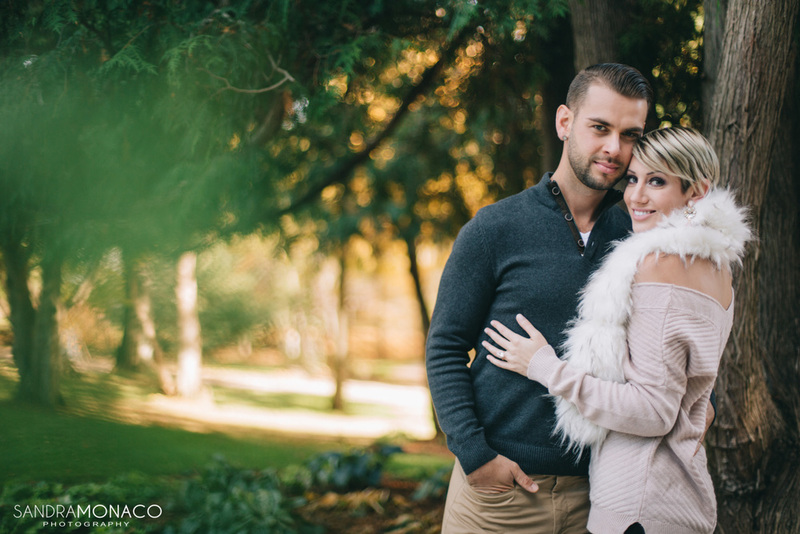 Of course it didn’t hurt that I shot with Lindsay and Cody on one of the best fall days in 2016 at The Guelph Arboretum. I’ve known Lindsay for almost a decade, and her kindness and sweet demeanour have never wavered. 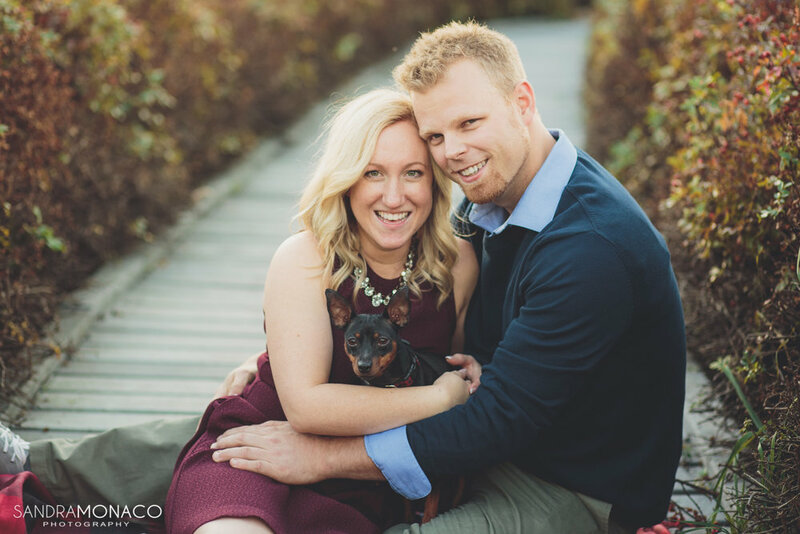 Maybe I’m biased because I’m a chihuahua-mom myself, but their little dog was the cutest and added SO much to the shoot. 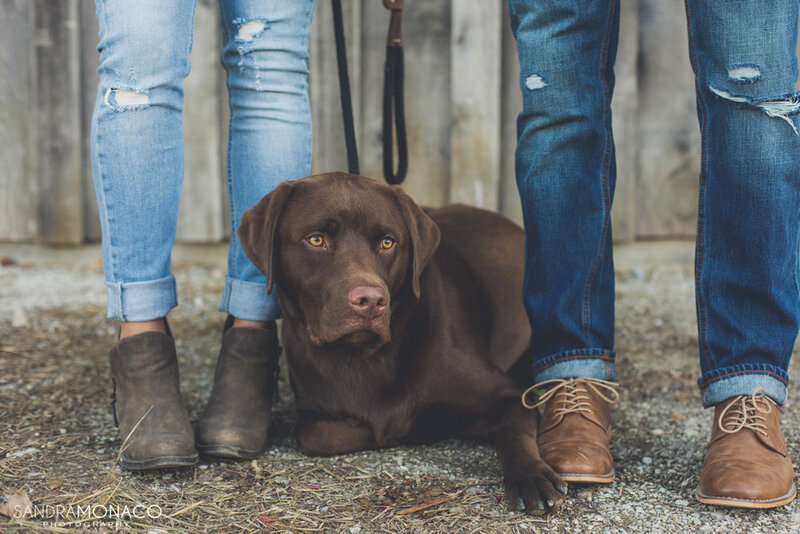 Having fur babies along for engagement sessions make things so much more personal, and take the emotion up a level or two. 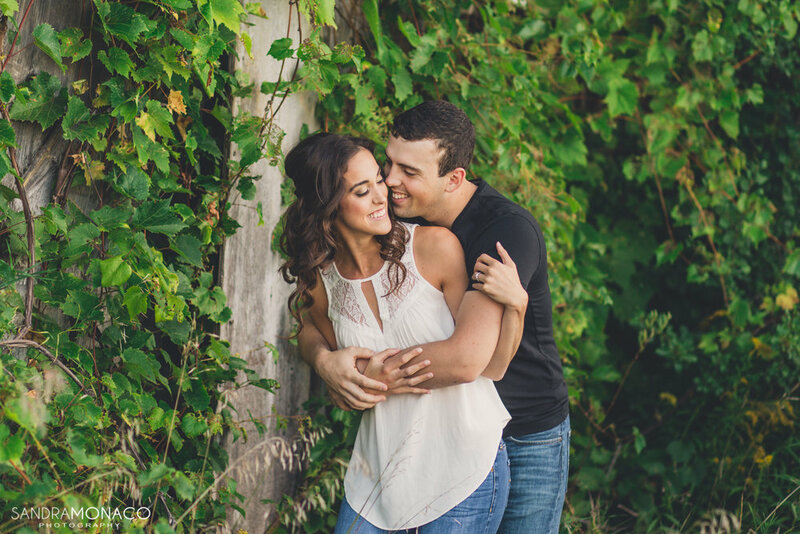 I can’t wait to shoot their wedding this year! 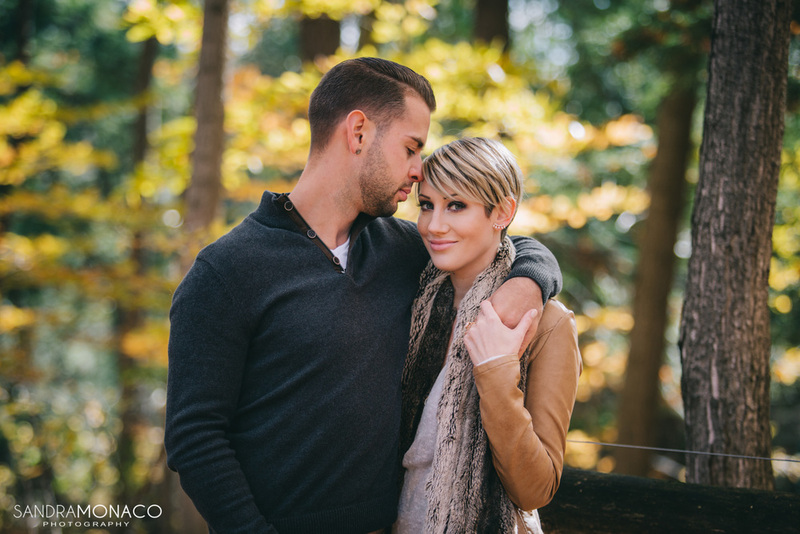 Here are some of my favourites from their October session. 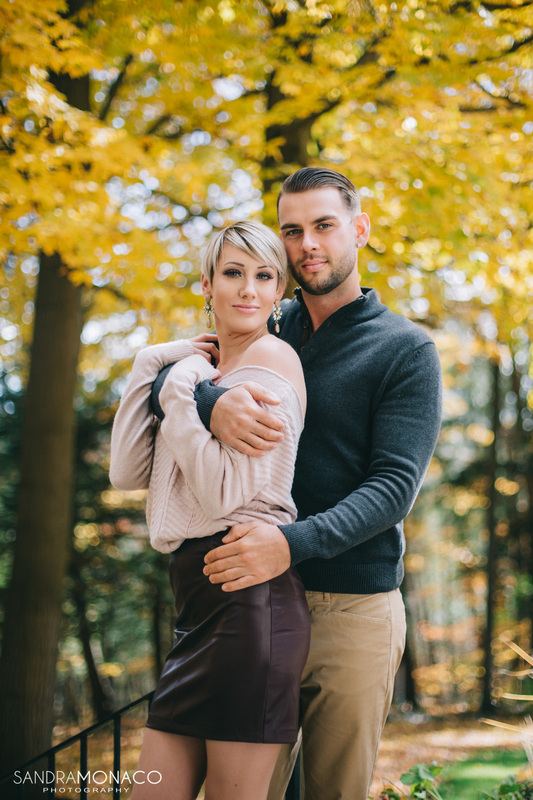 I’m so excited to share one of my favourite fall engagement sessions with you guys! 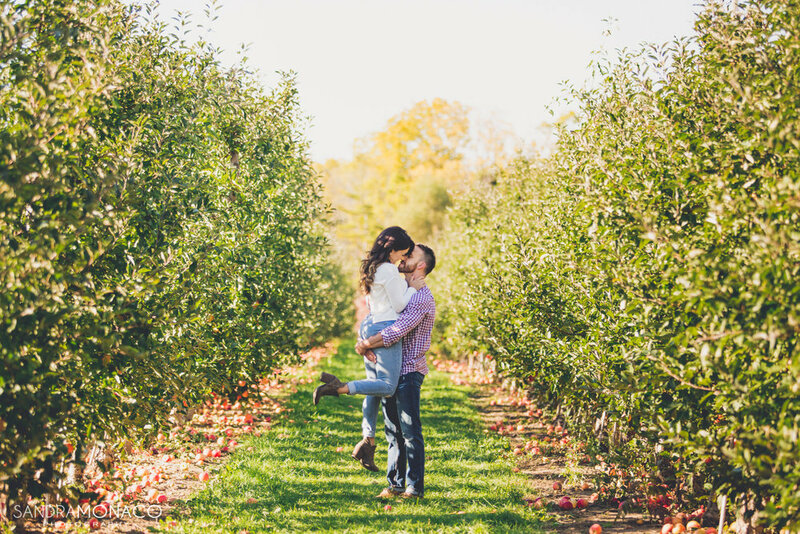 Steph and Ian met with me at Chudleighs apple farm in Milton on a beautiful day in October. We were able to fully take advantage of the gorgeous light that this day offered us. Steph was one of my first childhood friends in Kitchener, and I’m always happy to share in experiences like this with my friends. She’s hilarious and it was obvious that she and Ian share such a real connection. They compliment each other perfectly, and they’re just such a sweet couple. 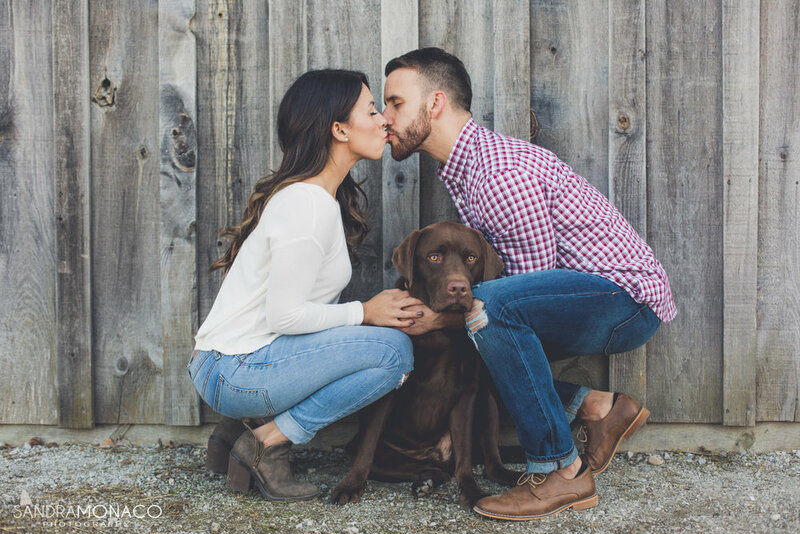 The icing on the cake is that they have such an adorable and loving dog. 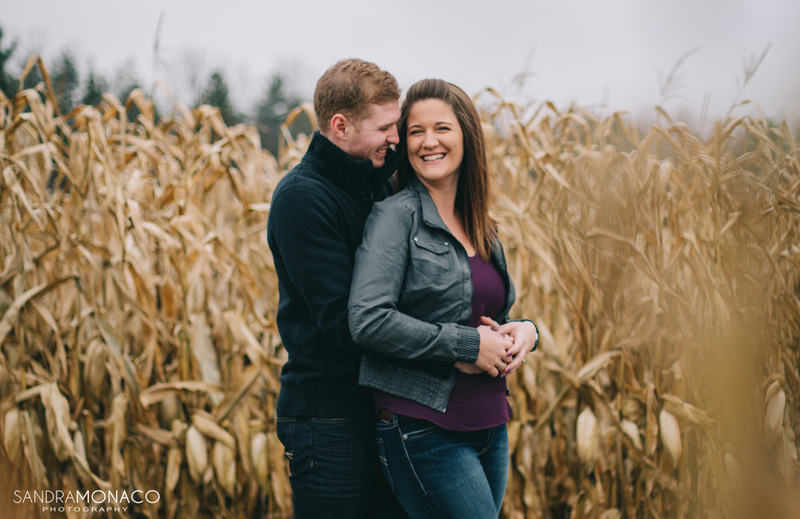 I’m already counting the days until I’m photographing these two on their wedding day in August. 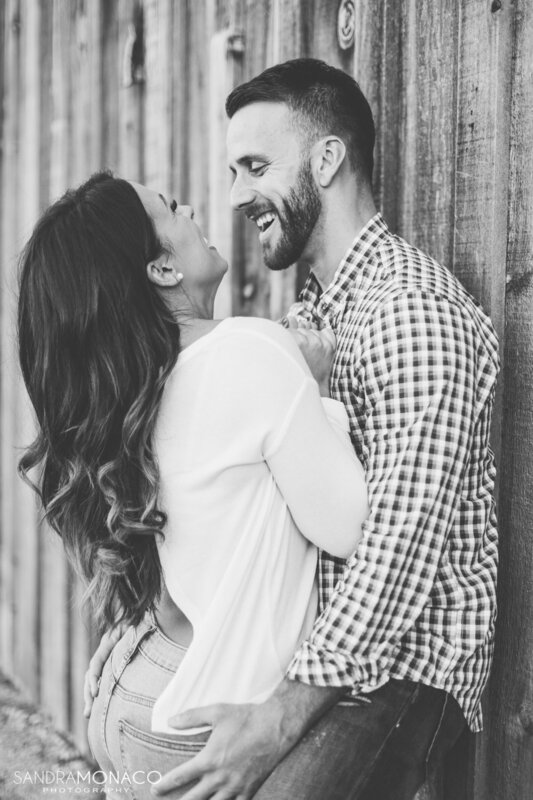 I loved all of their engagement photos, so once again it was difficult to pick my favourites - but here they are! 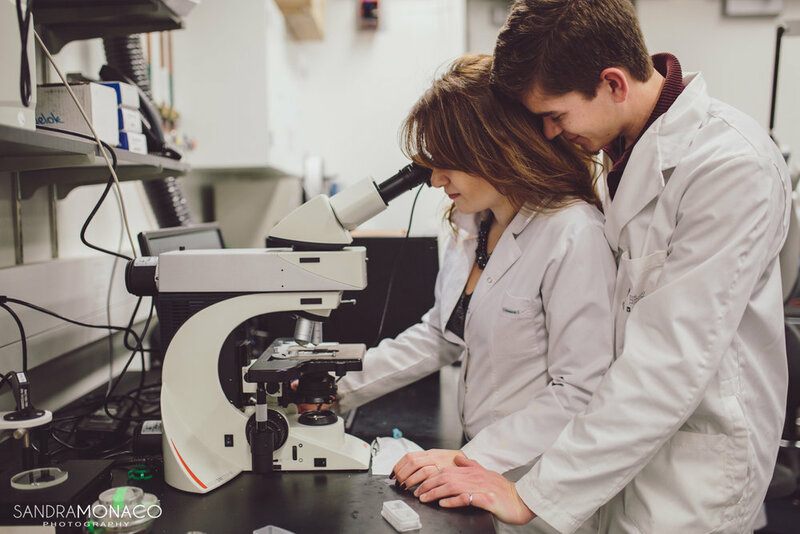 The last few months leading up to Christmas wound up being the busiest time of the year for me, so I’m happy to finally sit back and reminisce about all of the wonderful couples I had the pleasure of working with recently. Lauren and Dave’s love for one another was blatantly obvious when I first met them at a wedding that I shot last year. 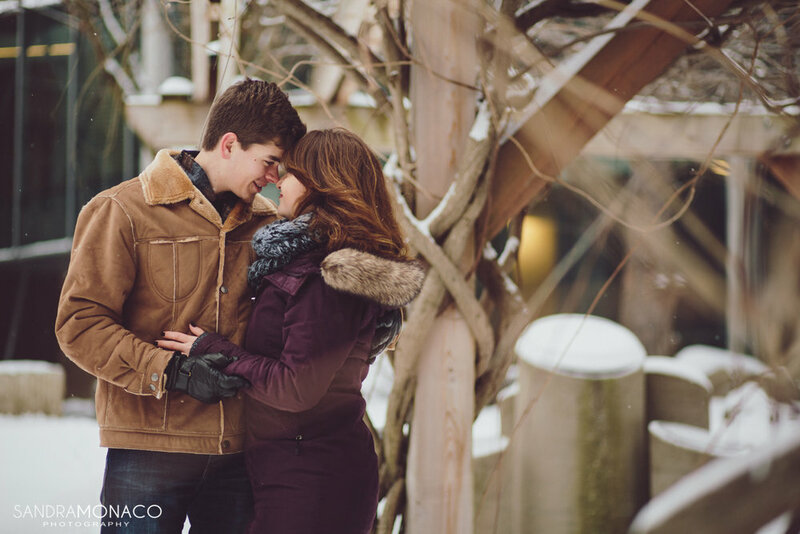 Shooting their engagement photos at such an authentic location just fit so perfectly with their personalities, I couldn’t imagine a better setting. On a September day, we had the most ideal lighting. 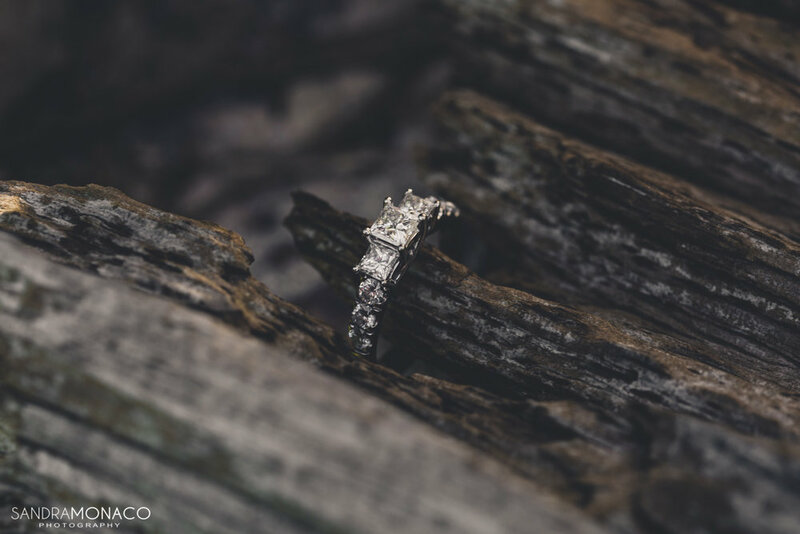 At an abandoned barn on the outskirts of Kitchener, all of the rustic wood and overgrown greenery made for the most romantic backdrop. It created a sense of privacy that adds to the photos immensely. 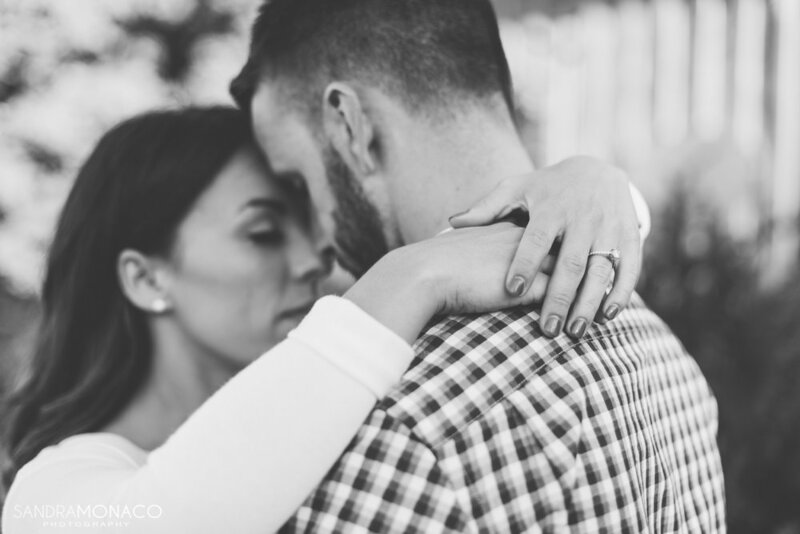 The emotion you see between the two of them was so real and so natural, it made it incredibly easy to photograph them. 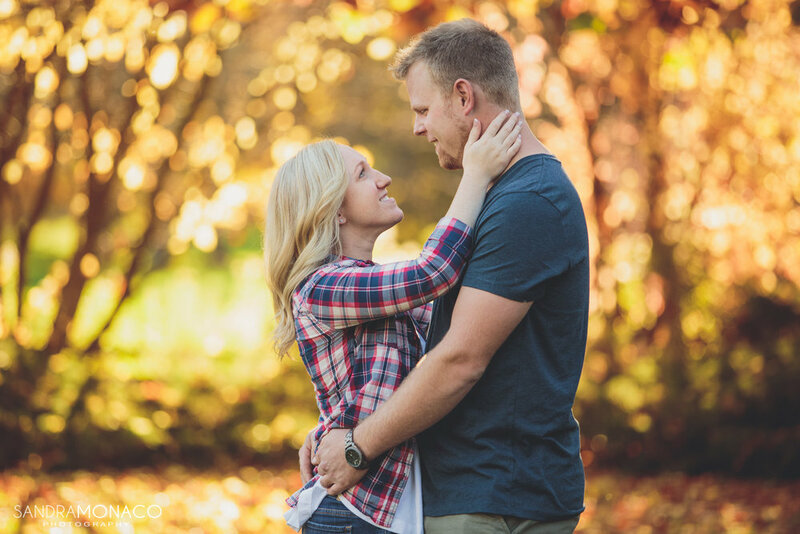 I always feel so privileged to spend time capturing the love and light that a couple like Lauren and Dave seem to radiate. 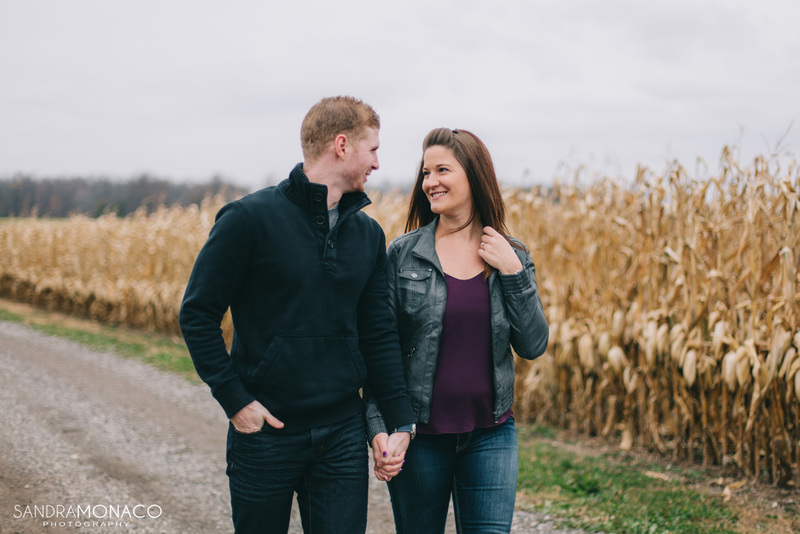 I can’t wait to share in the excitement of their wedding day later this year! 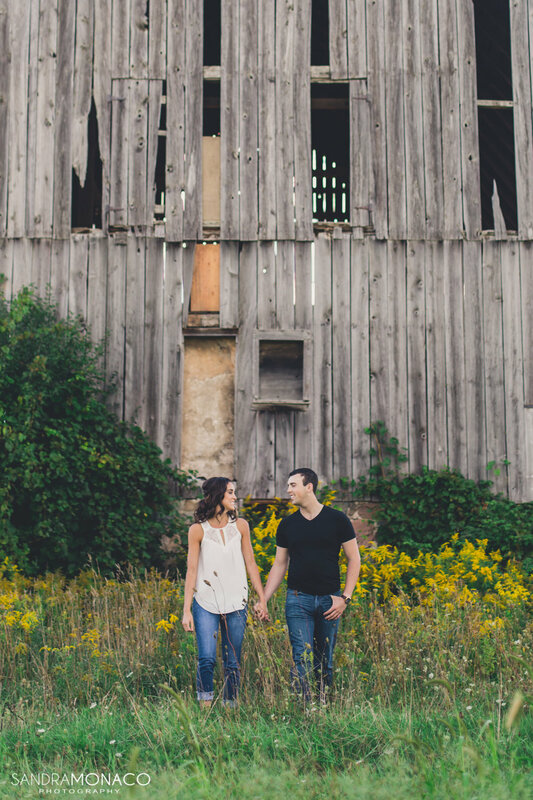 It’s still hard to believe that the setting for Sonya and Michaels engagement shoot was on property owned by the soon-to-be brides family. 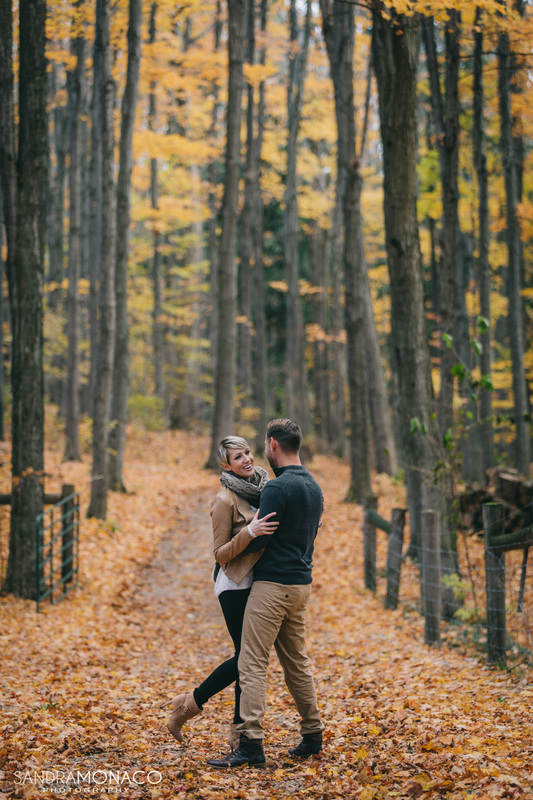 Navigating through the mature trees and down leaf covered laneways with such a stunning couple felt like walking through a scene straight out of a romance movie. The weather, the lighting, the landscape - everything was working with us that day. Sonyas mom was the perfect hostess and tour guide, bringing out soup to keep us warm and helping to point out all of the beautiful areas available to us on the property. When she got emotional after seeing an image of her daughter and future son-in-law on my camera, it brought a smile to my face that I couldn’t manage to get rid of. It’s clear every time she looks at her daughter, just how truly proud she is of her. With such an immensely beautiful backdrop, it would be understandable if other details paled in comparison. But Sonya’s ring did the exact opposite. 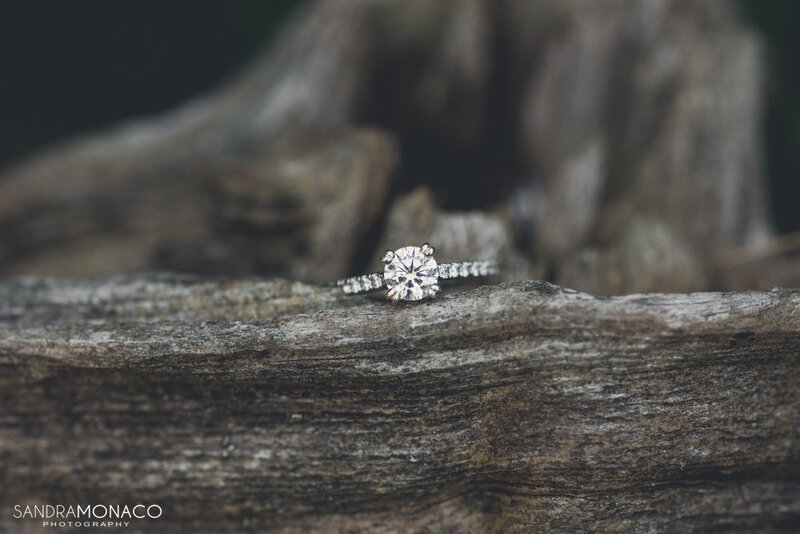 As if there wasn’t already enough of a luxurious feel to the shoot, this ring added to it tenfold. 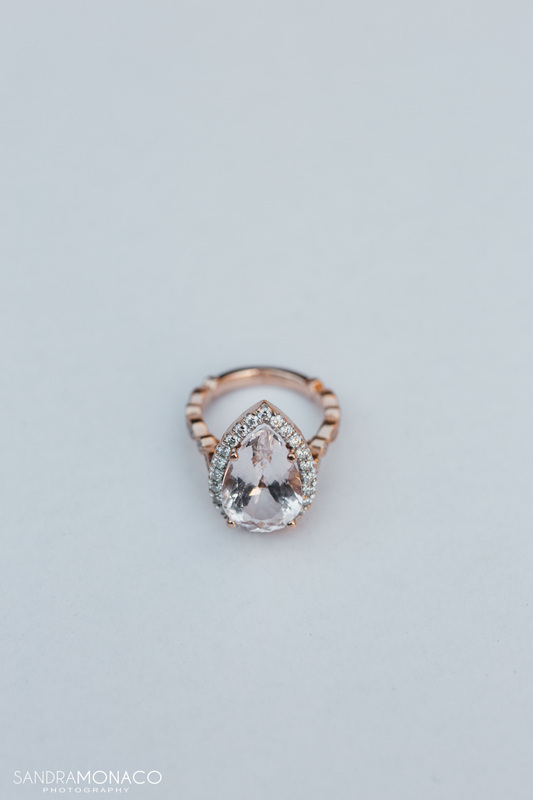 A rose gold band with a pear shape diamond, Michael did an exceptional job with this decision! 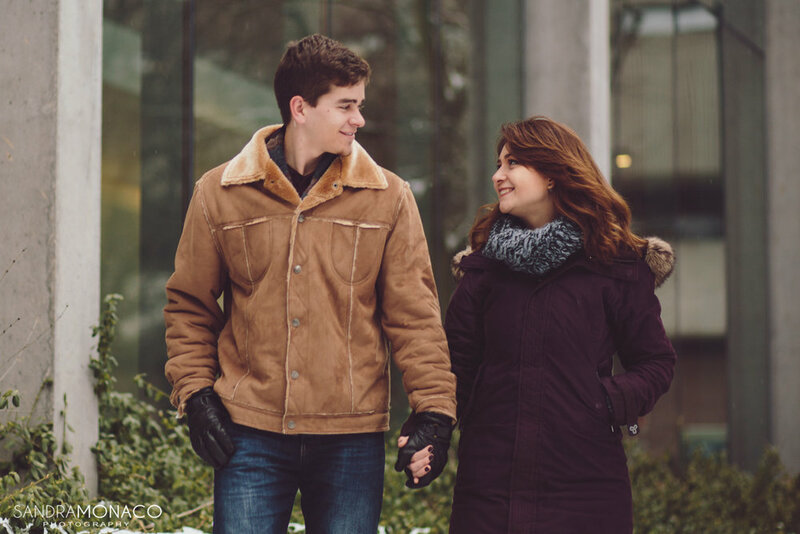 Sonya and Michael opted for an extended session, so it allowed us plenty of time for multiple outfit changes which gave us more variety throughout the day. 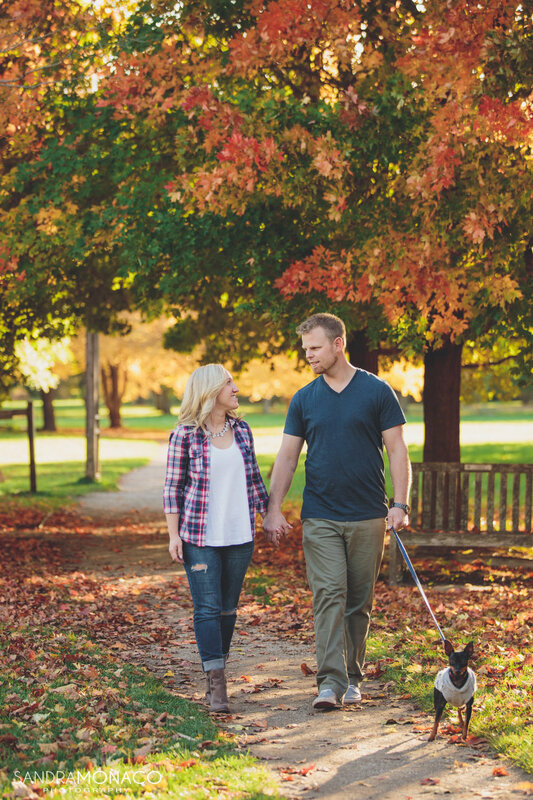 You can see for yourself when you take a look at some of these moments from this beautiful fall engagement shoot. 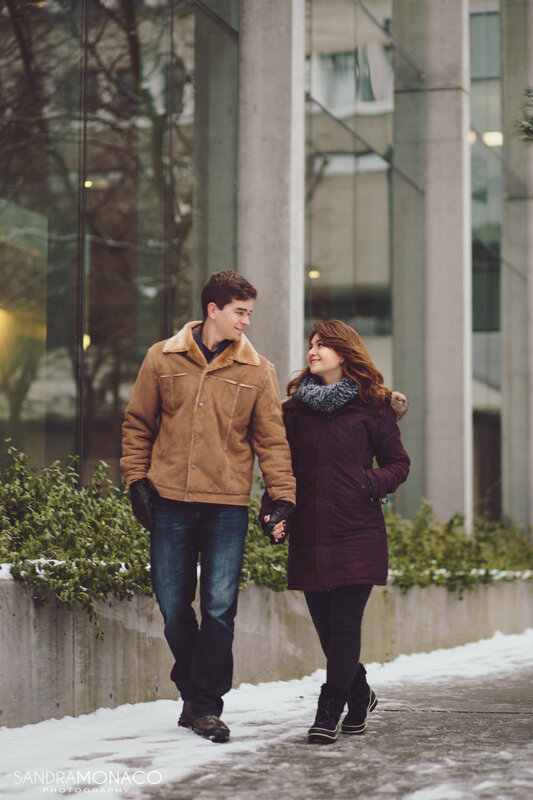 I’ve known Darcy since high school, so when she asked me to do an engagement shoot with her and Mike, I was thrilled! It’s hard to remember what Darcy was like before I saw her with her fiancé, because they just seemed to be made perfectly for one another. 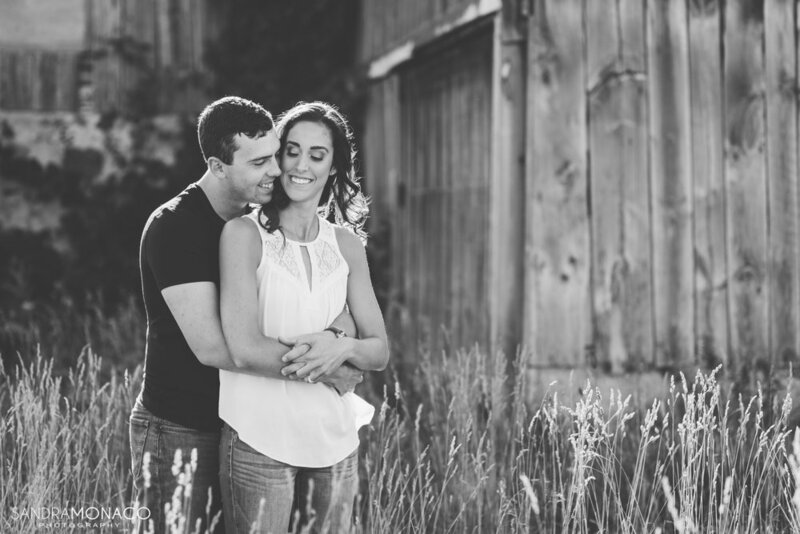 These two were absolute naturals in front of the camera. 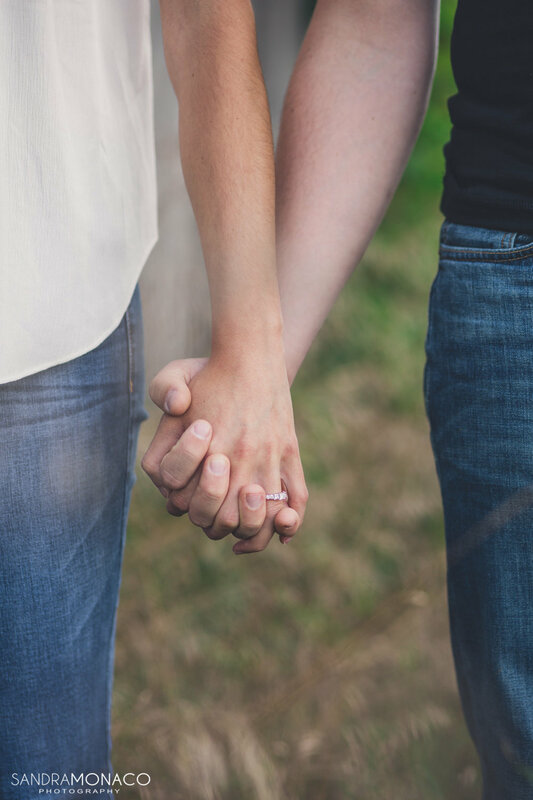 When a couple shares so much love for each other, every pose is so heartfelt and real. 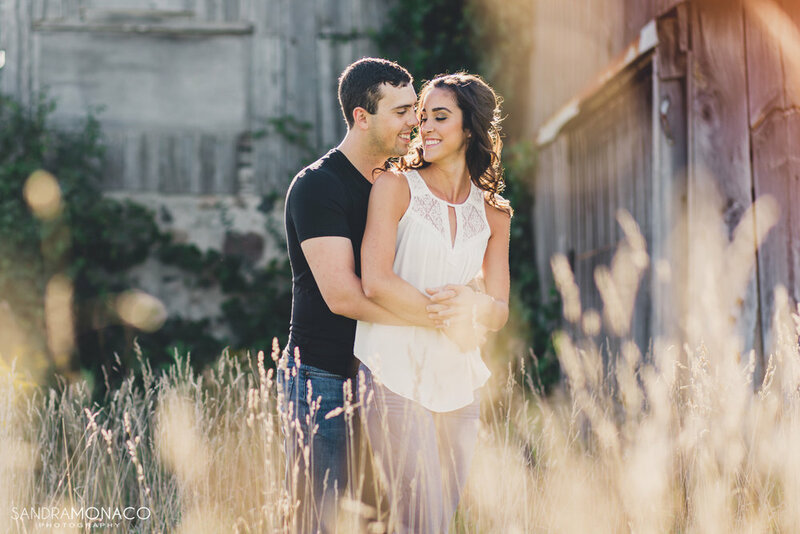 We were so lucky to be able to make use of their friends farm, everywhere we looked was a beautiful backdrop. 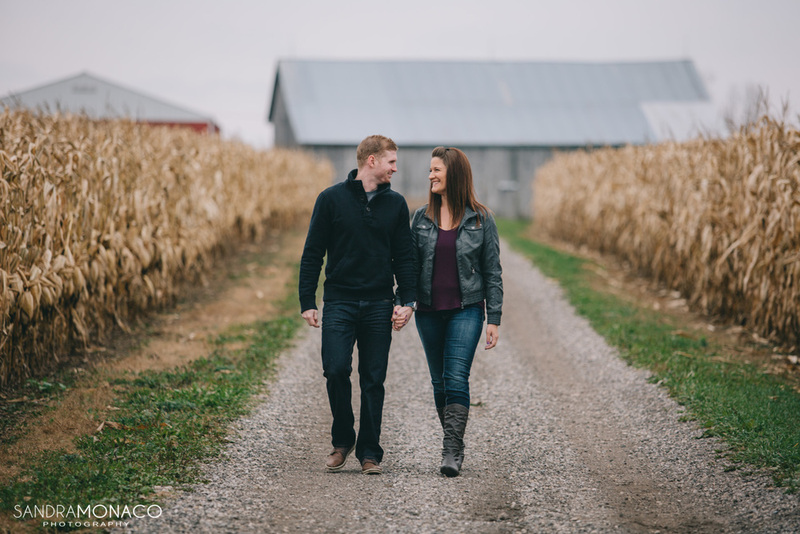 From the barn to the cornfield, the private pond to the colourful forest - this location did not fail to impress! Even the birch trees added their own unique element. 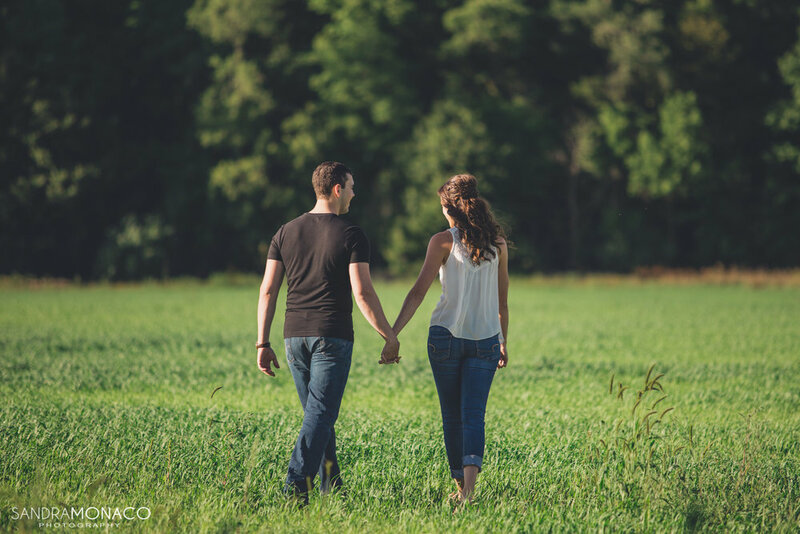 Working in such secluded areas as this really helps to make the shoot feel more intimate and special. Despite the cool weather on Halloween day, we managed to avoid any rain during the shoot. 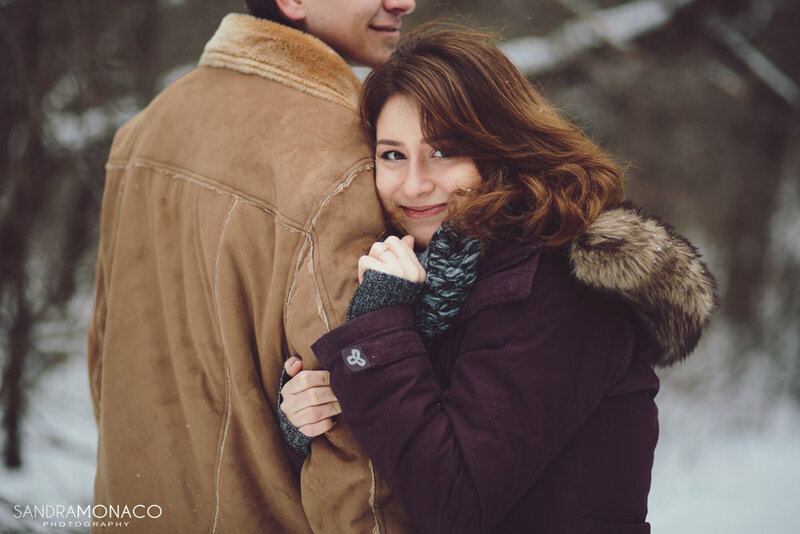 I love the sense of coziness that this season can bring to photos, and this engagement session was no exception. 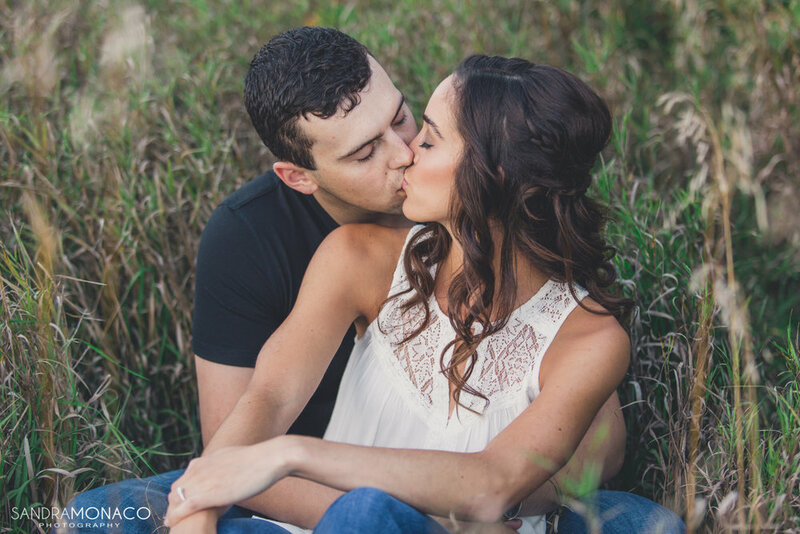 It was a blast working with this amazing couple and I hope you enjoy their photos as much as I enjoyed taking them!